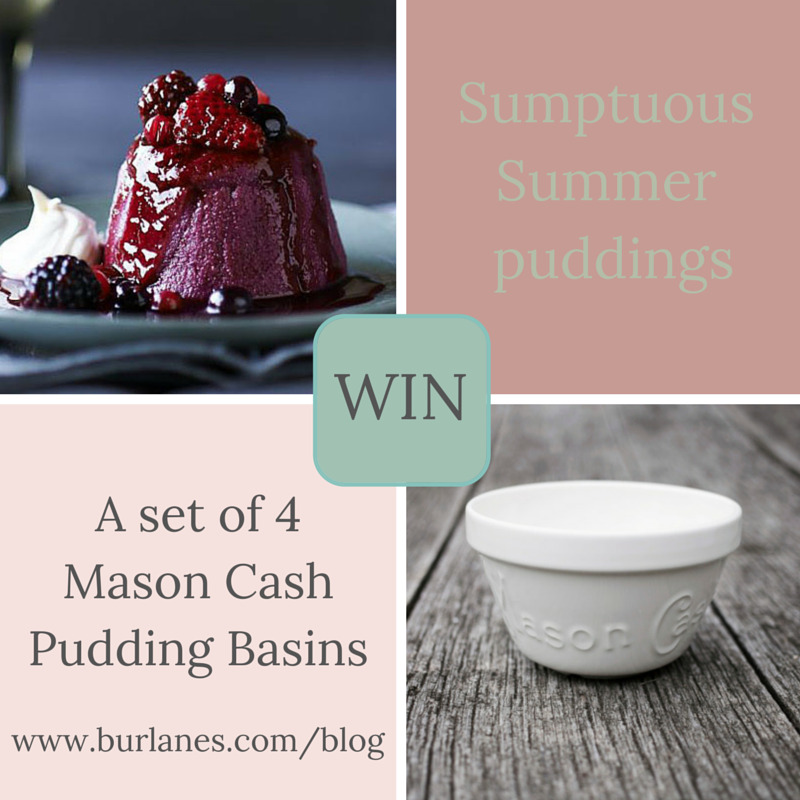 Individual sumptuous summer puddings is our recipe of the month and win a set of four Mason Cash Pudding Basins. Perfect simple and stylish summer homewares for your kitchen. A traditional, low-fat dessert with strawberries, raspberries, redcurrants, blueberries and blackberries set in mini basin moulds. Tip all the berries, apart from the strawberries, into a saucepan. Sprinkle over the sugar and stir. Set over a low heat and cook until the sugar has dissolved and the fruit has started to release its juices. Increase the heat, bring the mixture to the boil, then simmer for 2 mins until the fruit is soft and you have lots of deep red juices. Quarter the strawberries and stir into the berries, along with the lemon zest. Remove the pan from the heat and strain the fruit through a sieve, reserving the juices. When ready to serve, whip together the cream and icing sugar. Turn the puddings out onto plates, top with the reserved fruit and juices, and serve with the sugared cream. 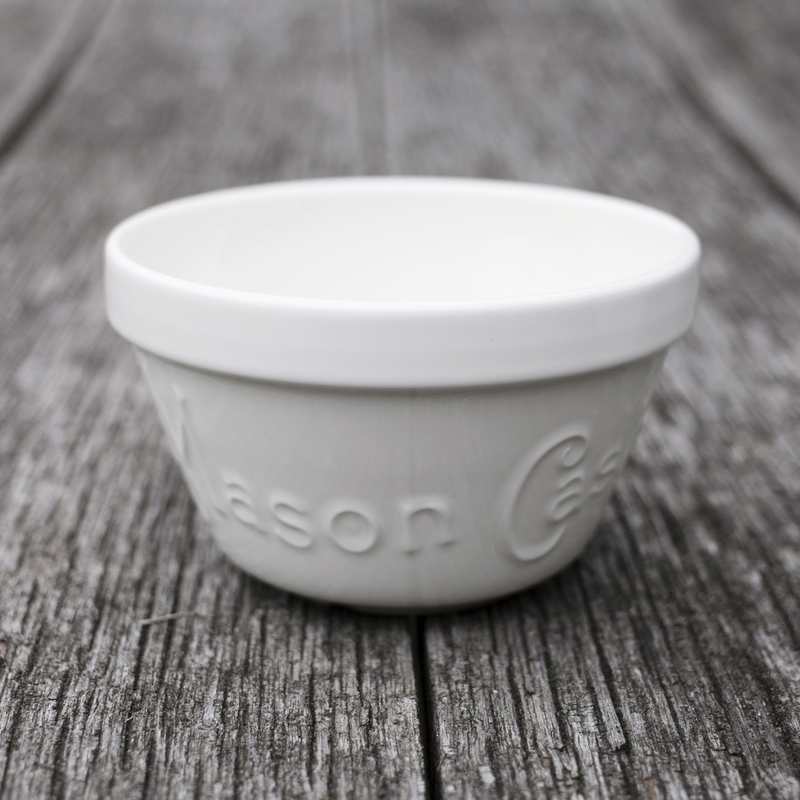 The Mason Cash Heritage Pudding Basin is made from quality chip resistant earthenware. The pudding basin is dishwasher, microwave and oven safe. The embossed logo provides grip when tipped, and the rim is ideal for retaining a lid. Will definitely be trying your summer pudding recipe!